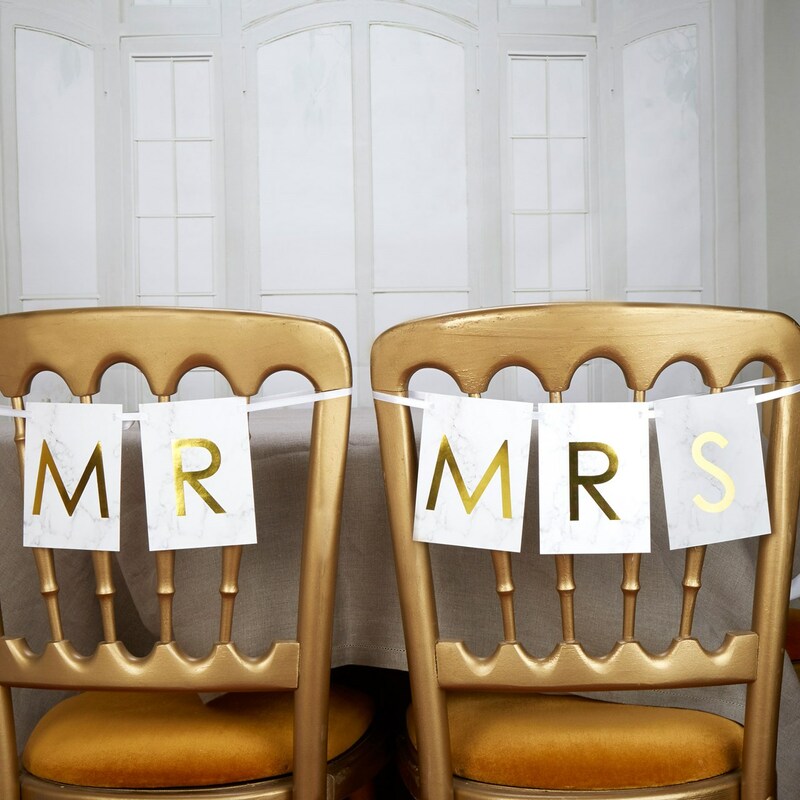 Add a quirky touch to your wedding décor with this fun Mr and Mrs chair bunting, a sweet way to dress your top table. Featuring individual marble effect rectangular pennants, the bunting is strung on sleek white ribbon, which is easily attached to any chair design. Included is an additional pennant featuring the ""&"" so you can use the bunting as a room decoration if you prefer.